And for all of you out there who knows a geeky pregnant woman....or maybe you're geeky and know someone ungeeky who is pregnant. 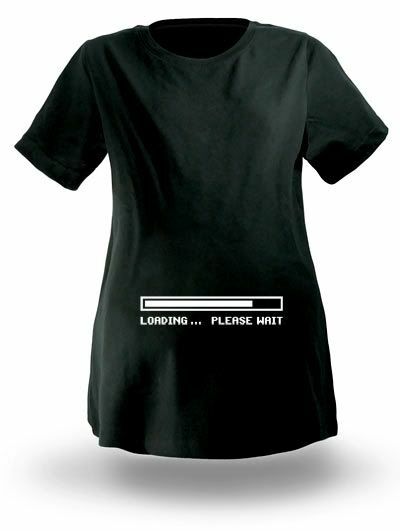 Regardless, this is a must have shirt, hehe! I really like that but my baby days are long gone. Long, long gone. Haha... that is so cute. That is a great pic It made me laugh. I many have to use it on my own blog. If you put a pint of beer on the front too you could ware it to a bar.